Have you ever wanted to add some bling to your pickaxe? Then this concept is for you. 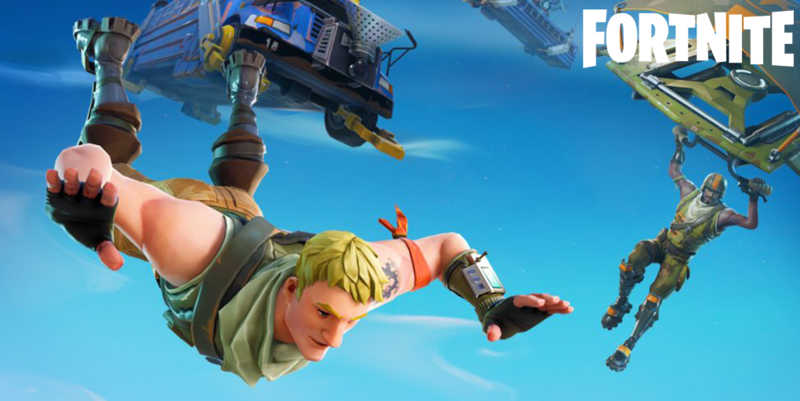 When players first hop out of the Battle Bus they glider towards a location and then pull out their gliders. For many players, that’s the only glimpse they get at their gliders all match. This concept would give players a chance to look at their glider whenever they wanted, making the purchase of a Legendary glider that much more valuable. With so many expensive gliders in the game, some players might feel like they need more of a chance to see them in action. 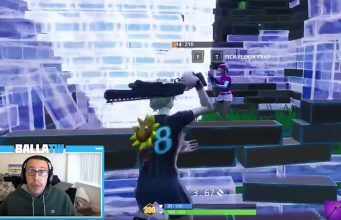 This concept created by u/like_spvce on r/FortniteBR gives us a glimpse at what this would look like in the game. 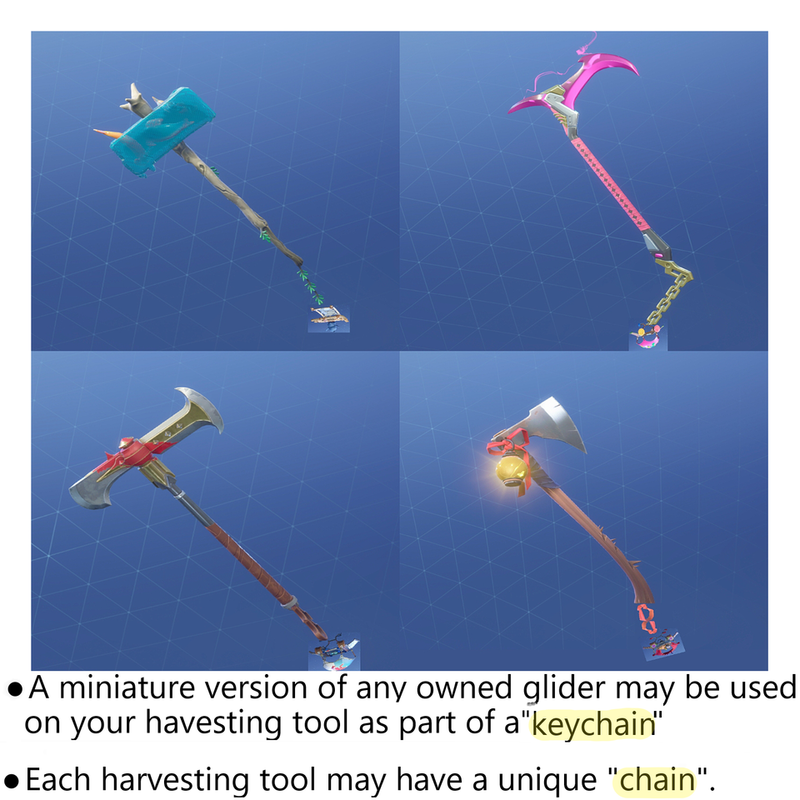 Whatever glider you have would appear at the bottom of your pickaxe hanging on a chain. It would be a good way to show off your glider without having to actually use it. On top of this, different pickaxes would have different chains, giving some added flair to your pickaxe of your choice. What do you think about this concept? Would it be something you’re interested in?